Blowers are only designed to move air (gas), not solids. 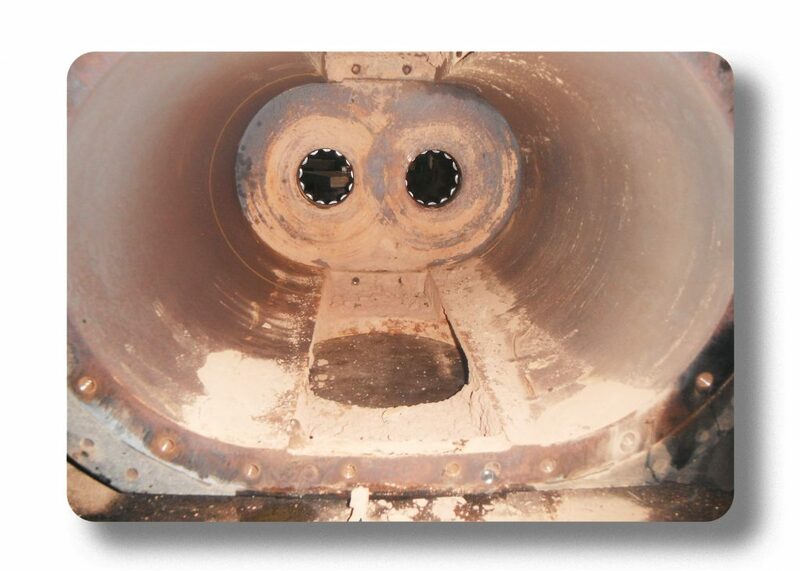 Overtime ingesting product can cause major damage to the blower. This unit has ingested product for quite some time. Most likely failure to filter the inlet air caused contamination. The product is now lodged inside of the impeller lobes and has abraded the tips and ends of both impellers. The wear of the impeller tips will reduce the efficiency of the blower. Where is the product going once it passes through the blower? Is the silencer starting to clog? 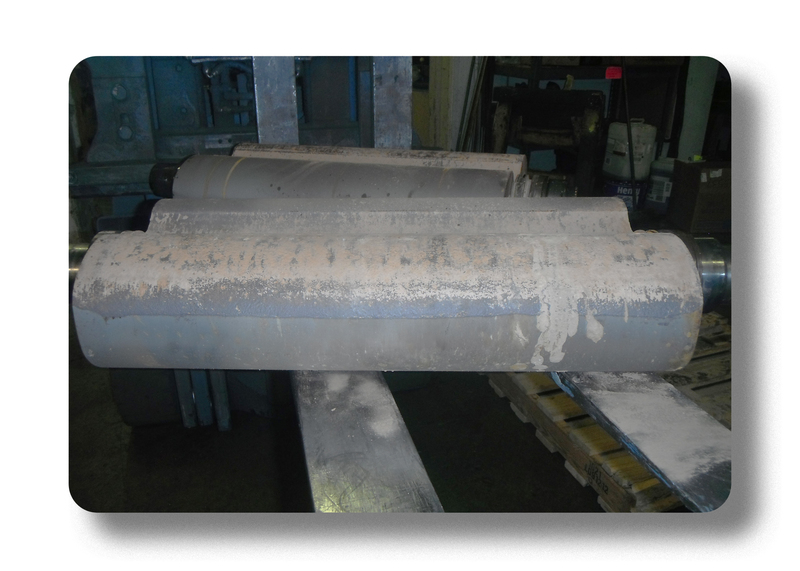 Impellers are worn from exposure to product (fly ash) in process. Caught early, most impellers are repairable by welding and machining. For a blower in vacuum service, contamination is a potential problem that might only be caught once you see the product exiting the discharge pipe! An inertia event is usually when a blower is in operation and it comes to a sudden stop. 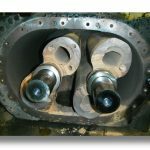 The force of the sudden stop/slow-down is often very detrimental to the blower, i.e., bent and/or broken shafts, twisted drive shafts, cracked headplates and cylinders. 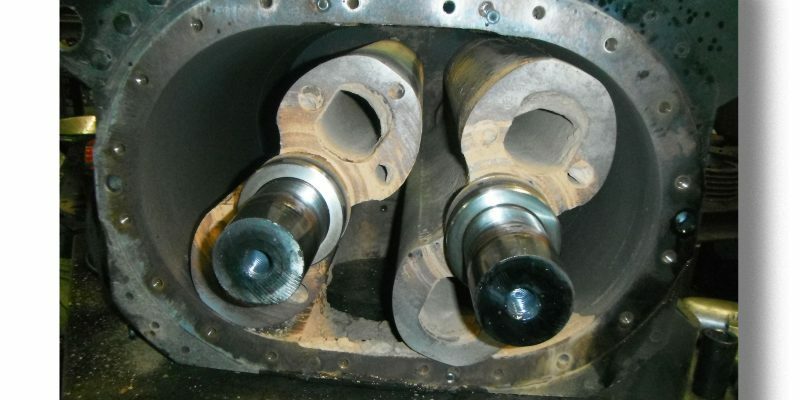 Also, a blower can be spinning backwards from a faulty check valve and then be brought online, which applies enormous forces to the drive shaft as it has to overcome the inertia of the impeller spinning in the opposite direction. This summer remember to schedule maintenance so you can take a vacation, not your blower! As summer comes into full effect, the conditions that your blowers operate under could be changing too, and this needs to be taken into consideration before you go on vacation. Make sure to have a clear schedule that other coworkers would be able to follow while you are away. Giving your process air a clear path to do the work it’s designed to do! 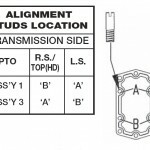 – Pressure gauges working? We have these too! A quick review of your blower process could catch a problem before a breakdown! Remember: air in, air processed, and air out!